If you are searching for a brand new HP Laserjet 2727 MFP printer, then you have come to the perfect place. At Arizona Copiers, we have the best selection of Hewlett Packard models and all of their related supplies in the state. Whatever configuration or customization you prefer, we can help you find the best solution for your growing business. We pride ourselves on offering the most affordable options for buying, leasing, or renting printers or copiers to meet all of your business’ needs. With our excellent customer service, repair service, and instant delivery, we have a 100 percent customer satisfaction guarantee. Contact us today at 602-428-5885 for more information on our services and receive your amazing discounted quote. Save printing time for your business with this HP Laserjet 2727 MFP laser multifunction printer. The printer is capable of exceptional quality, crisp bold text, and detailed graphics with a high print resolution of 1200×1200 dpi. In addition, it boasts fast output printing and copying speeds of 27 pages per minute in black and white. The printer can easily process bond paper, heavy cardstock, letterhead, transparencies, envelopes, and pre-punched paper without jamming or crunching. There are two input trays installed for a standard capacity of 300 sheets, while the unit is capable of producing 15,000 pages per month. Therefore, it is ideal for home offices and small growing businesses. This Hewlett Packard model offers beneficial zoom features that enable the user to enlarge or reduce copies with a few simple buttons. It can be extremely handy when you only want part of a piece of paper to be copied, or when you are changing paper size. Two-sided printing is also a breeze, with automatic duplex printing embedded right into the robust multifunction printer. The built-in fax machine includes the stand-out ability for modern-speed 33.60 kbps transmission and reception of faxes in monochrome print. When you purchase this Hewlett Packard model from Arizona Copier, you will maximize your business’ efficiency and productivity. The special Instant-on technology ensures that no time is wasted waiting for the machine to warm up. The HP Laserjet 2727 MFP is ready whenever you are, in order to deliver prints two times faster than competitor devices. Plus, the stable light source enables copying and scanning to begin within seconds, even first thing in the morning. Your work team will be able to share resources easily, securely, quickly, and efficiently with this value multifunction printer. Get Your Own HP Laserjet 2727 MFP Printer Today! 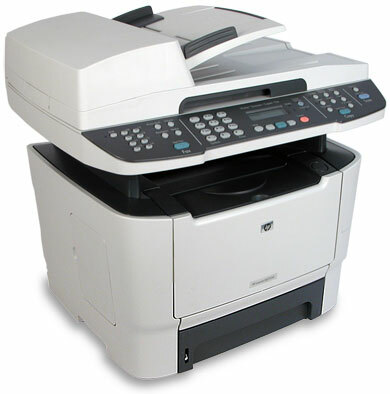 At Arizona Copier, we have all top of the line Hewlett Packard products in the industry conveniently in our inventory. Our locally owned and experienced company takes a serious commitment to customer satisfaction and providing all of the most high-quality printers to increase your business’ productivity. We are dedicated to providing timely and safe delivery of your investment in perfect condition throughout our Valley of the Sun metropolitan service area. We invite and encourage you to contact us today at 602-428-5885 to get started on obtaining your own HP Laserjet 2727 MFP printer and realize these tremendous features. We look forward to hearing from you!